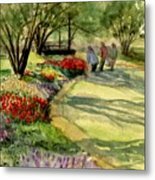 Thank you so much for the feature in Watercolour Art, Michael! Beautiful!. 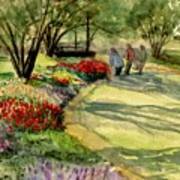 Featured in Watercolour Art. Thank you so much for the feature in Discover Watercolor Artists, Lauren! Nava, you are just so kind! Thank you. Wonderful painting, so many details! And I appreciate you, Randy! Thanks so much. This is just lovely, Marilyn! I love how you have included the people enjoying the flowers. Voted and PIF in WI Flowers and Scenery. I appreciate all you do Penny. Thanks so much. Thank you Alanna! It's an old painting I dug out of the pile! This is beautifully painted. Well done. Lovely colors, and so very soft. 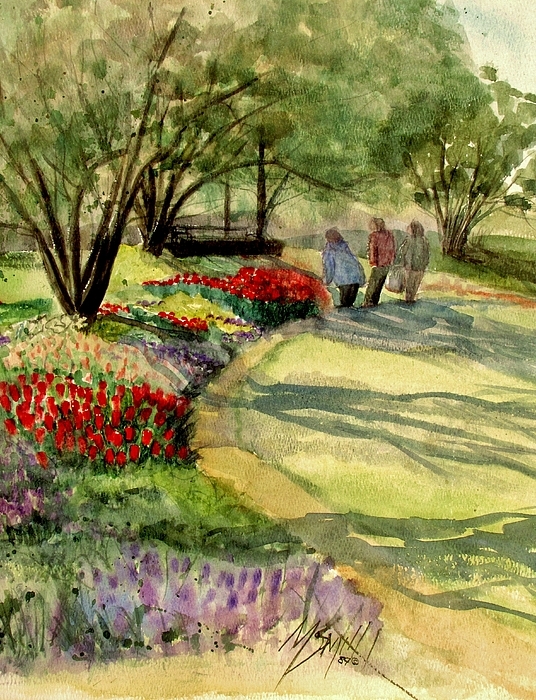 This watercolor garden scene was created by Marilyn Smith after visiting a beautiful public garden near Milwaukee, WI. The amazing flowerbeds are so well groomed making it a pleasure to wander among the blooms and be able to identify the varieties. Many days were spent admiring the grounds in past times.